I am a Licensed Clinical Social Worker and received my Master’s degree in Social Services in 1991 from Bryn Mawr College Graduate School of Social Work and Social Research. I work with couples, adults, children, adolescents and families. I also do Reunification through Family Law Court. Portland has been my home for over 25 years. 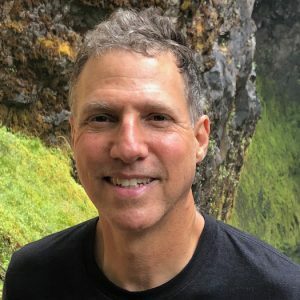 Music, movies, connecting with friends, backpacking, mountain climbing, writing, yoga, and cycling help me recharge. Clinical Social Work appeals to me professionally because it emphasizes viewing people in the larger context of their lives, relationships, family history, culture and society, over their problems alone. Through this lens, the tendency to pathologize others gives way to compassion and an appreciation for resilience. A therapeutic relationship nurtured in this light accelerates self-acceptance, motivation, personal agency and healing. Self-limiting beliefs are transformed toward a narrative that is empowering. This is the space I strive to create. I have a separate practice, Reunification Works, doing reunification on cases referred through Family Law Court. Reunification is a form of alternative dispute resolution that facilitates reconnecting children with a parent when that relationship has been ruptured. To learn more, please visit reunificationworks.com to view the contract for services or email me at malter@reunificationworks.com.